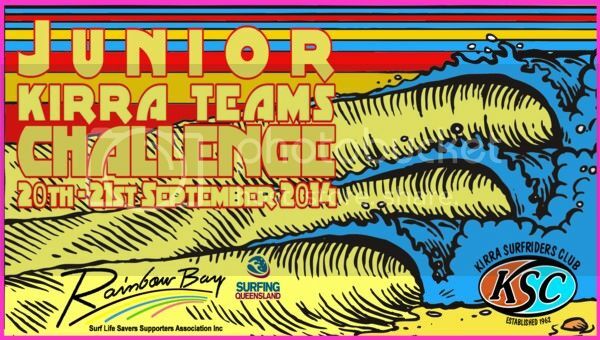 Junior Kirra Teams Challenge runs September 20th - 21st at D'bah. Le-Ba are the reigning Champions after cleaning up last year finishing 1st and 2nd. This year we have 3 teams in the event which shows the current depth of the club. Get up there give the groms some support. Good luck grommets. Eli Carr started the day with a big win ( 14.00 total ). Jack Murray was up next starting with a 9 and eventually comboing the rest for another win ( 16.17 total ). Noah Brown was up in Ht 7 and he finished 3rd missing 2nd place by 0.07. Regan Martinovich came 2nd with 11.7 total. Jake Snellgrove dominated his heat for another win ( 14.33 total ). Aeran Thomas finished day 1 with a 4th. After 3 surfers each at the end of day 1 Snapper 1st (12 points) - Le-Ba A (11 points) - 4 clubs tied 3rd (10 points). It was a big day of team surfing in fickle 2'-3' peaks at D'Bah today. Finley James was out there early on the high tide which was making it hard to find waves that didn't closeout. 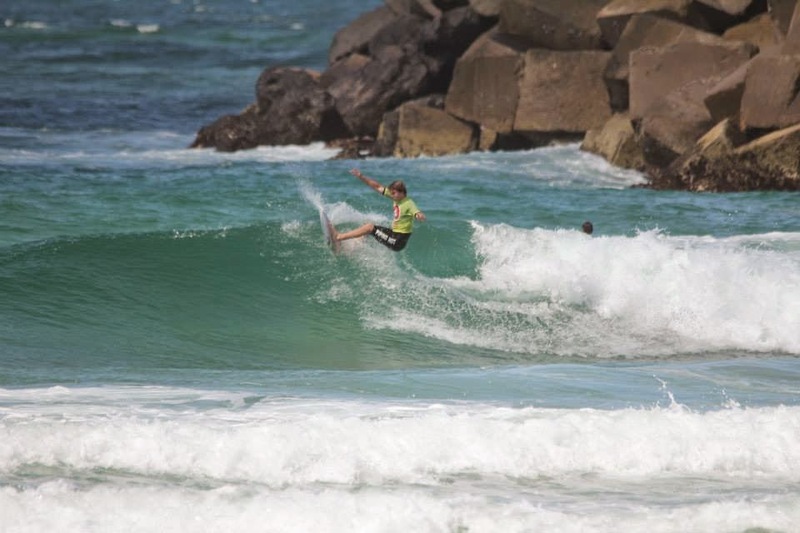 He finished 4th for Le-Ba B. Luke Condon was in a wave starved heat and paddled up and down the beach to find something surfable. He was making the most of what he got and finished 2nd. Zak Condon ( Le-Ba A ) and Blake Ghanimeh ( Le-Ba B ) were in the same heat as the waves started coming on next to the wall. Zak worked his way into the heat and eventually took the win. Blake put in an amazing display of teamwork and finished 2nd. Kye Healey went out determined to get a good result for the club but the waves slowed down again. He was in it until the end and only needed a 5.24 to get to 2nd but it wasn't to be. Dan Boardman surfed late in the day for Le-Ba and had a real dig at it finishing 3rd by 0.8 points to 2nd. Overall Le-Ba A finished 3rd against 24 teams . Le-Ba B finished 16th. Thankyou groms, you did the club proud. Well done !! There was also a combined Girls and Groms event held during the weekend. Mahlia Carr finished a close 2nd in Ht1. Rino Lindsay was 3rd in Ht2. In Ht4 Jasmine Sloane was 4th. On Sunday Nyxie Ryan charged into the punchy peaks and made sure she completed her rides to finish 2nd. Jack O'Brien was dominant against his older rivals , layed down some great rail work and combination of manoevres to finish 2nd. Ebony Santamaria was surfing D'Bah for the first time but she was ripping. She put together great combos and finished her rides to get a well deserved 2nd. It was a great effort and very valuable experience for this team which they will carry into the future . They finished they finished 2nd overall. Congratulations and we are looking forward to the new Girls divisions in Le-Ba in 2015.